Did a black cat join us for dinner? Does one have to be a millionaire to dine at the Savoy London (a 5 star hotel)? These questions might or might not be answered as you read this post 🙂 Or you can just look through the photos. Either way, thanks for being here! And I would LOVE to hear from you. If you leave a comment below you’ll totally make my day! This summer Nick and I were elated to have visited London for the fourth time (but first time in warm weather!). One of our favorite cities in the world, London is a destination you can explore endlessly and keep finding something amazing, every time, everywhere you go. 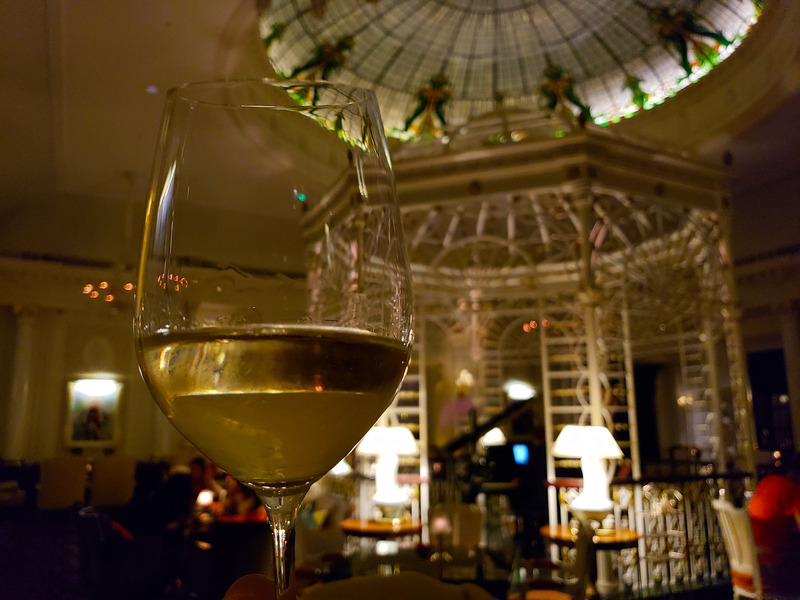 One of my recent discoveries is The Savoy London ( www.thesavoylondon.com). While this fabulous historic hotel has been there for 130 years, it was new to me and I fell in love! 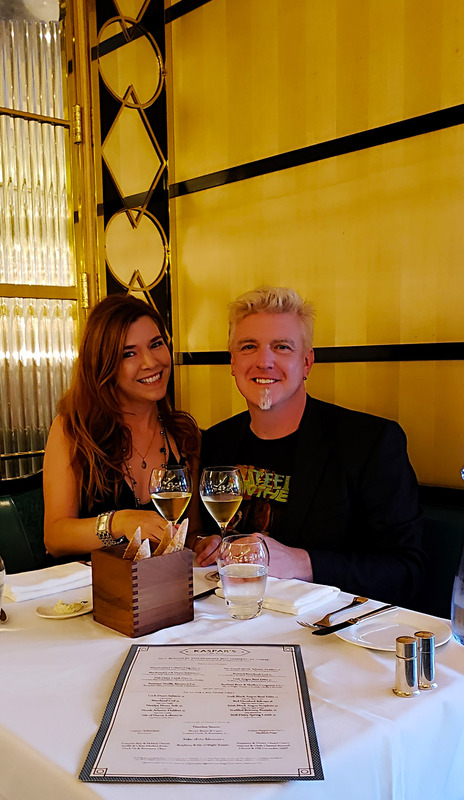 Nick and I were invited to partake in the ultimate Savoy experience: dinner at the famed Kaspar’s restaurant, followed by late night drinks, dessert and live music at the Thames Foyer. 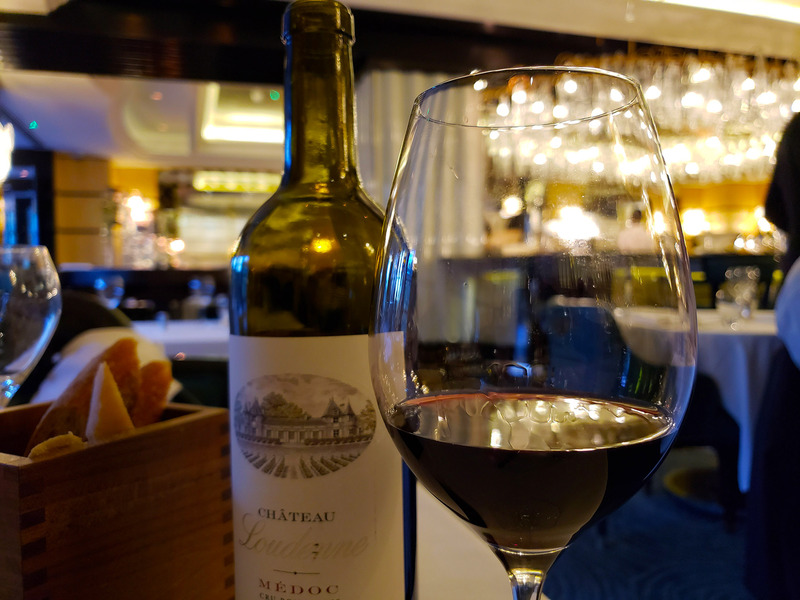 A four hour food/wine extravaganza and an unforgettable date night! A few surprises awaited me at the Savoy London. First, the beauty and grandeur of the hotel. 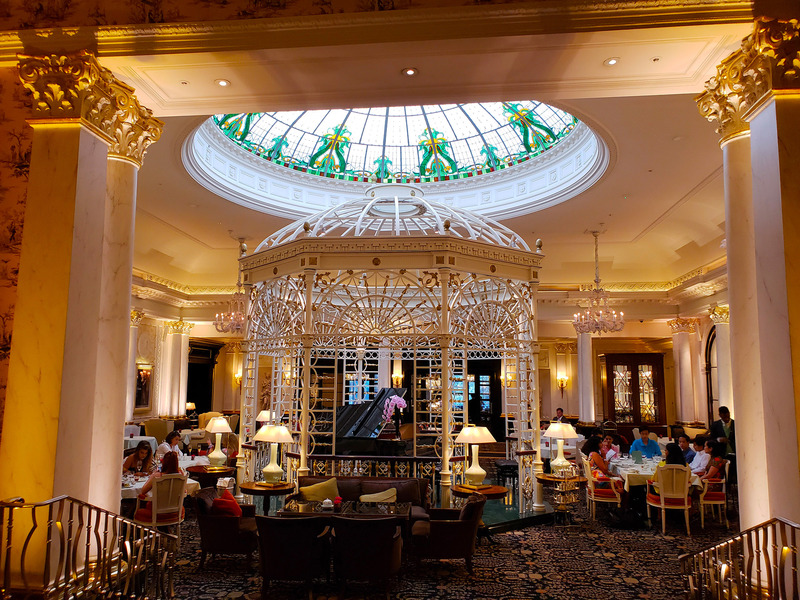 From the marble floors and the paintings on the walls to the floral arrangements, antique furniture and the ornate ceilings, The Savoy’s atmosphere is created to transport you to a another (fairytale-like) world. Which led me to the second surprise, the menu prices. Unless you order Dom Pérignon or Russian black caviar, your bill won’t be any higher than at any other quality restaurant in the city. The third surprise was dining with Kaspar the cat. (the restaurant manager told us Kaspar’s story as we sat down. While writing this blog, I found a great article on Kaspar on spectator.co.uk. and, instead of paraphrasing, copied it below (italicized) for your convenience. It’s not that I’m lazy – it’s just very well-written and quite informative, and it wouldn’t do any good if I tried to re-word it). Apparently, in 19th century superstition said that bad luck would befall any dining party of 13. As the legend goes, in 1898 a South African mining magnate hosted a dinner at the Savoy, but a last-minute cancellation brought the group down to 13. Joel scoffed at talk of the first person to leave the table encountering bad luck, and to prove guests were talking nonsense he left first. On his return to Johannesburg he was promptly shot dead. The Savoy decided that from then on they would never allow 13 diners to sit down again. For a while their solution was to seat a waiter with the party. But neither side was very happy with this arrangement: the hotel was a member of staff short, while the diners had to put up with a complete stranger in their midst. Not very relaxing, and useless if you wanted to talk confidentially. Then in 1927 Basil Ionides came to the rescue. He was the designer who gave Hounslow West tube station its pink-and-cream ticket hall, but more relevantly he’d been commissioned by the Savoy to redecorate Pinafore, one of its private dining rooms. As well as completing this task, Ionides provided a solution to the ‘13’ problem: a black cat he’d sculpted out of a block of wood from a London plane tree. From then on, Kaspar — as the animal was christened — occupied the 14th chair, a napkin tied round his neck. Winston Churchill became so fond of Kaspar that he had him at his table no matter how many guests were present. The cat briefly left the hotel during the second world war, courtesy of officers from the RAF’s 609 Squadron, who — having dined rather too liquidly — managed to smuggle him away. Kaspar lived for a while at their HQ in Lincolnshire, only returning to the Savoy after the intervention of an air commodore. Parties of 13 can dine with the cat to this day, and he’s become something of a hotel mascot. 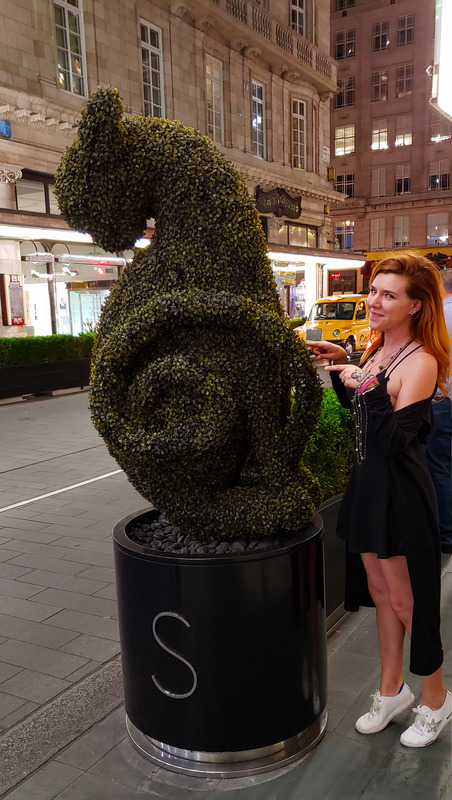 Huge topiary versions of him stand outside the entrance, the River Restaurant has been renamed in his honour and even the Savoy’s cappuccinos are topped with his outline in chocolate. So now you know! 🙂 And while Nick and I were a party of 2 and not 13, our lovely server (thanks, Rosaria!) asked if we’d like for Kaspar to join us. Needless to say, we said YES!! … was FABULOUS! One of the many fun aspects of doing travel writing/restaurant reviewing is eating something I wouldn’t normally order because (as often is the case) the owners/managers are excited to share their signature dish or season’s special. This happened with Kaspar’s Best of Seas appetizer. While I would have never chosen a starter large enough for 4 hungry adults, I am so glad the manager (thanks, Patrick!) brought it because it was divine. It featured British & Irish Oysters, Keltic Seafare Scallops & Bering Sea King Crab, Mediterranean Prawns and, as if that wasn’t enough, Cornish Crab & Avruga Caviar. For a second appetizer (or what they call “intermediate plate” in Britain), Nick & I had Kaspar’s Signature Cornish Hen Crab & Native Lobster Bisque, followed by an Irish Black Angus Beef Fillet (cooked rare, of course!) for the main course. 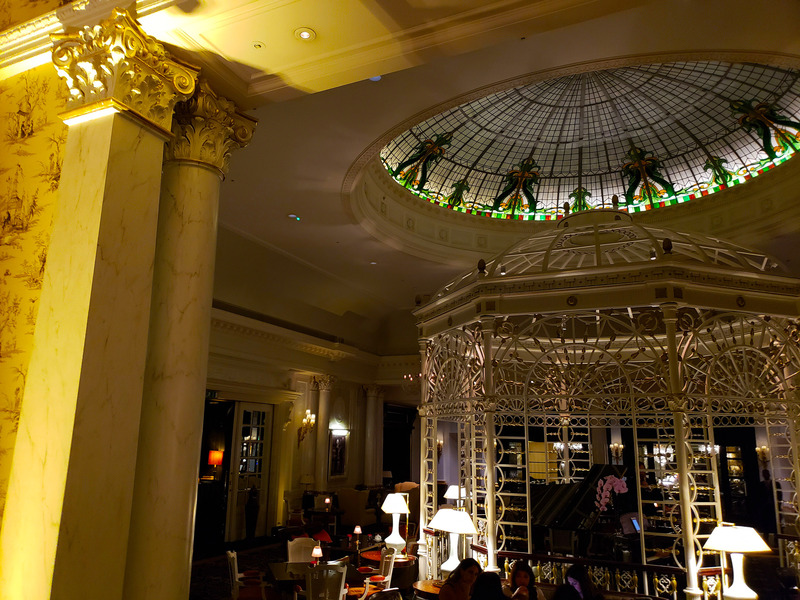 Afterwards, we proceeded to the Thames Foyer (just a few steps away) where we split a decadent house-made chocolate pastry, sipped on dessert wine and listened to a lovely jazz piano/vocal duo (they graciously sang my request, “Nature Boy” by Nat King Cole). And did I mention that Alden the sommelier brought different wine for each course throughout the evening? He sure did! And then we had a dessert wine. Thanks to Rosaria for taking this photo! The verdict? If there’s such a thing as food heaven, this place would be a contender. Everything was beyond delicious, the setting spectacular and the service extraordinary. 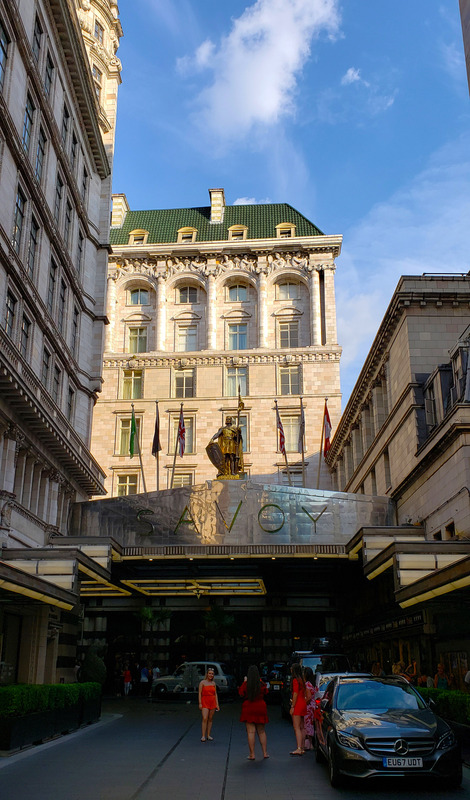 While our experience at The Savoy London was complimentary, all views and photos are entirely my own. I stand by every word – as always. 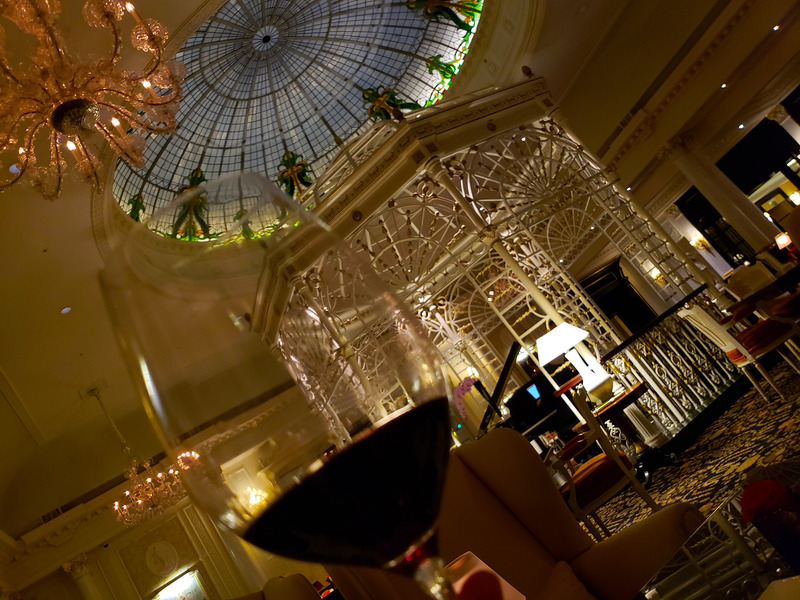 Have you ever been to Savoy London? Previous Oktoberfest in Los Angeles: My Favorite German Restaurant Discovery (Wirtshaus)! London is my favorite city too! In fact, I’m going back this winter. I’ve walked by the Savoy numerous times as I usually stay in Covent Garden and now I’m inspired to go have dinner at Kaspar’s. As always, beautifully-written blog. And funny, too! Love all of the photos. Hi Ella!! I’m so happy to hear this, please give me a full report when you go! If Alden the somm is there, please say hi!! He might not remember me, haha, but who knows, he might! Now I really want to add this as a place I would like to visit! Thank you for the in depth account of your experience! Love the Kasper story! thanks, dear Jo!!! I really appreciate it!!! We were in London in the summer of 2017. Wish I had known of this place on that trip. Oh well, rumor has it that London will still be there for a long time so I need to make a return trip and check out this beautiful restaurant. Up until recently we gave little thought to where we dined on our trips. It was basically a time to fuel up on carbs and move on to the next sightseeing destination. But when I read your travel blogs I am reminded that the food in various restaurants are often one of the reasons for visiting an area or a city. I loved the story of Kaspar, though I have to admit that thirteen is my FAVORITE number. That’s because I am weird and love to be unusually different at times. The photos you take are wonderful and there never can be too many artsy wine photos. We are kindred spirits in that regard, both loving photography while travelling (and wine too). Thanks for inviting us along on your travel adventures. Together we can “Enjoy The Ride”. thank you SO MUCH, dear Barry, for your kindest words! I really really appreciate them and it makes me so happy that my blogs and posts may inspire you and others in some ways!!! And I LOVE that you love number 13, too!!!! and… the band’s “Nature Boy” cover was VERY different from Nat King Cole’s or from mine, but it was still lovely. I am so happy you enjoy my version of this amazing song! Wow, this place is special! I need to get back to London. It is really amazing indeed. Thanks, Laura, hope you get back to London soon!